St Mary Domenica Mazzarello was born in Mornese, Alessandria, Italy on May 9, 1837 to hardworking parents. Her family was not of abundant means, so each day brought with it long days in the vineyards, carefully tending to the delicate vines in the glaring sun. Mary Mazzarello was know for her cheerful spirit and willingness to help others, even at a cost to herself. She was not without a temper, though! Her quick wit could often turn sour when vexed, and controlling her temper was something, like Don Bosco, she would have to work at all of her life. When she was fifteen she the Association of the Daughters of Mary Immaculate, run by her parish priest, Father Pestarino; it was a precursor to the founding of the Salesian Sisters. The Daughters were known for their charitable works and Mary soon set herself apart for her sound judgment, dedication, joy, and love of the young. Wherever she want the village children were drawn to her like a magnet, eager to hear her jokes and stories, or to ask her a multitude of questions. When she was 23 a typhoid epidemic hit Morenese and villagers started rapidly dying. Soon her uncle and aunt were taken ill and Mary, typical of her generous nature, volunteered to care for them and their many children. After a week under her loving care they were healed, but when she returned home Mary became ill with the very sickness that she healed and was brought to the brink of death. She received the last rites of the Church and recovered, but the illness left her weak. The strength which had formerly sustained her in the fields was no more. Mary was now thin and frail; a shell of her formerly robust self. Her practicality leads her to find other means to sustain herself, so she took an apprenticeship with the town seamstress and worked diligently at the craft. Like Don Bosco, the skills which she learned in her youth she was later able to pass onto those who would come after her. Unbeknownst to Mary, God setting the groundwork for the foundation of a new religious community with her as its co-foundress. The Holy Spirit was preparing St Mary Mazzarello and St John Bosco’s hearts to act upon their inspiration to found a society to care for young girls, just as the Salesian priest and brothers cared for young boys. Fifteen young women now comprised the Daughters of Mary Immaculate. Fr Pestarino had busied himself with training them in the spiritual life and managed to secure a place for some of them to live in community, thus was the beginning of religious life in Mornese. The Daughters took in a few young girls and housed them, schooling them in the faith and handing down to them their knowledge of dress making. Their work was in high demand because of the great attention which Mary paid to detail, insisting that nothing be done half heartedly, and she was always perfectly just, returning all of the unused materials to their customers. Life was difficult and full of sacrifices; they would often have to beg for food and scrounge for wood and sticks for the fire. They were cold in the winter, and often hungry, yet they all accepted it with a cheerful spirit, sharing what they could with the young girls who would come to them for aid. Don Bosco was told of the Daughters by Fr Pestarino, who himself was training as a Salesian under the saint. Considering his vision of the young girls, Don Bosco felt an interior impulse to meet with them. 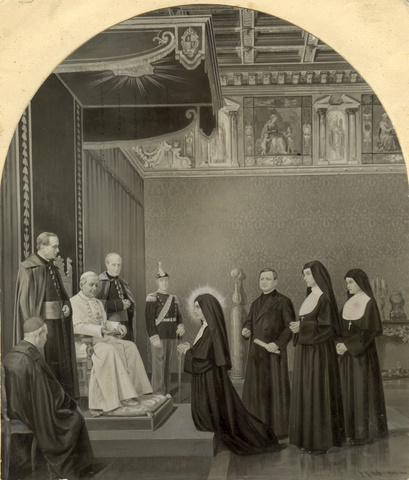 He went to Mornese with his boy band under the guise of raising funds for his Oratory, but his true intention was to investigate the possibility of founding a female counterpart of the Salesian Sisters from the Daughters of Mary Immaculate. 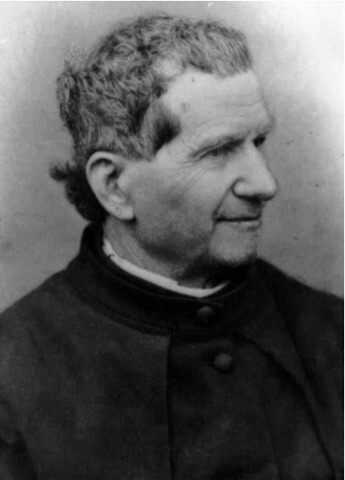 In 1867, after meeting with them and receiving the Daughter’s enthusiastic response to his proposal, Don Bosco drew up their first rule of life. A source of the community’s good spirit, sense of humor, optimism and charity, Mary Mazzarello was a natural choice as the first superior, although she did all that she could to not accept the title. Eventually obedience won out and she was the first Mother of the young community at age thirty, albeit in an informal sense. After much formation, struggles, the well-intentioned but misdirected advice of others, and difficulties with the townspeople (whose school for boys which they had raised money for and built was turned over to the Daughters for their work by Don Bosco), the day of their profession arrived. The fifteen young women, lead by Mary Mazzarello, knelt on the cold floor of the chapel of the new school and professed their vows as religious women in the presence of the Bishop of Acqui, their spiritual father Don Bosco, and Fr Pestarino, their immutable guide. July 31, 1872 was the birthday of the new religious family. At age thirty-five, donned in a habit which she herself had designed, she was now Sister Mary Mazzarello. She and the fourteen other newly professed brides of Christ that were the founding community beamed with joy, and a sense of relief that their sentiment that God had called them into his vineyard was correct. Don Bosco looked on his new daughters as a happy father; indeed the mutual visions of the founders had come to pass. The Daughters of Mary Help of Christians were officially founded. 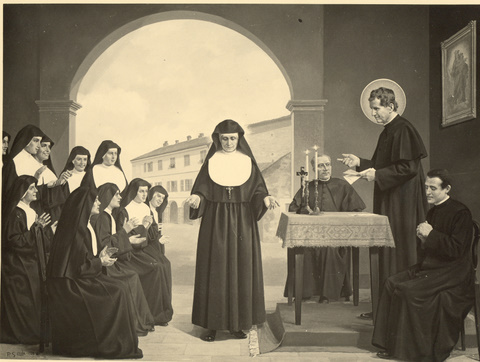 As the feminine branch of the Salesian religious family, the Daughters of Mary Help of Christians sought to do for girls what the priests and brothers were doing in Turin for boys. They brought to their ministry the particular feminine genius which lends itself so well to nurturing, teaching, and encouraging the young along the way of salvation and personal growth; they became well-loved by the townsfolk. After being elected Mother General of the Salesian Sisters, Mary Mazzarello felt that it was important that she and the other sisters have a good understanding of how to read and write; it was a skill which many of them had never had the opportunity to acquire. 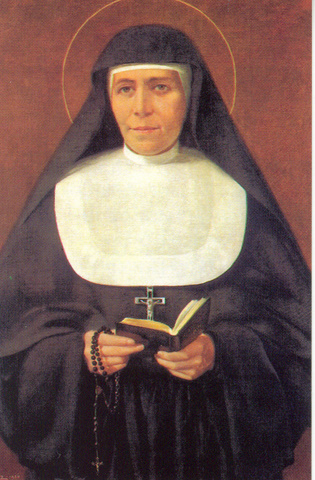 Mother Mazzarello would sit along side all of the other Sisters and learn with them – an example of humility and dedication, as well as an encouragement to the others in their struggles. Her dedication to her sisters was not limited to their intellectual development alone. In every way she was an attentive mother, which is why to this day she is still fondly called “Mother Mazzarello”. When several of the sisters were headed to the South American missions, she accompanied them to their port of call in Genoa, Italy, and then took a boat to France so that she could visit the sisters there. In Marseilles their ship broke down and had to be repaired. All of the passengers were forced to disembark while it was dry docked. Although the Sisters had been told that lodging had been prepared for them, there was a mix-up and they were left without beds to sleep on. Mother Mazzarello was not one to let events such as that discourage her; eminently practical, she took the sheets that they brought with them stuffed them with straw, and made makeshift beds for all of them. After a miserable night of sleep they all awoke, but Mother Mazzarello could not get up. A fever was ravaging her body and she was in terrible pain. The next morning, more out of a concern for worrying her already exhausted companions, she was able to get up, see the missionaries off, and then journey with her remaining Sisters to their house and orphanage in St. Cyr. Once in St. Cyr she collapsed and was in bed for forty days; the diagnosis was pleurisy. Although she felt very ill, Mother Mazzarello did all that she could to be cheerful and alleviate the worry of her Sisters. Eventually she returned to Italy, even though the doctor advised against it. She said that she wanted to die in her own community. She made her return journey in stages, as she did not want to push herself too much; she was painfully aware of her delicate condtion. Fortunately on one of her stops Don Bosco was near and they were able to meet for the last time. As soon as Mother Mazzarello saw Don Bosco she smiled even more than she normally did; when she asked Don Bosco if she was going to die and he replied in the affirmative, her smile did not cease – here was a strong woman’s whose greatest consolation came from knowing that she was doing the Lord’s will. Mother Mazzarello knew that after her death there would be another sister to replace her and that God would carry on the great Salesian work, as it was the work of Mary, the Help of Christians. As her daughter she had nothing to fear. In early April Mary returned to Mornese. Her native air strengthened her and since she felt stronger she insisted on keeping the community schedule and doing her usual work. Unfortunately it was too much for her and she relapsed. Finally, in the pre-dawn hours of May 14th, 1881, Mother Mazzarello began her death agony. It was a terrible thing to witness, but ever resolute to praise God for all that he sent her, she began to force out a weak, yet sincere hymn to the Blessed Mother. It exhausted her and she fell into a deep sleep. After receiving the last rites she turned her attention to those around her and weakly whispered, “Good-bye. I am going now. I will see you in heaven.” Shortly after she died at the age of forty-four. She was beatified on November 20, 1938 and canonized on June 24, 1951. A life of utter devotion to the will of God and love for others, Mary Mazzarello continues to serve as an example of dedication and holiness, a true mother in every way.